Next up on the handmade holidays: The Helmet. 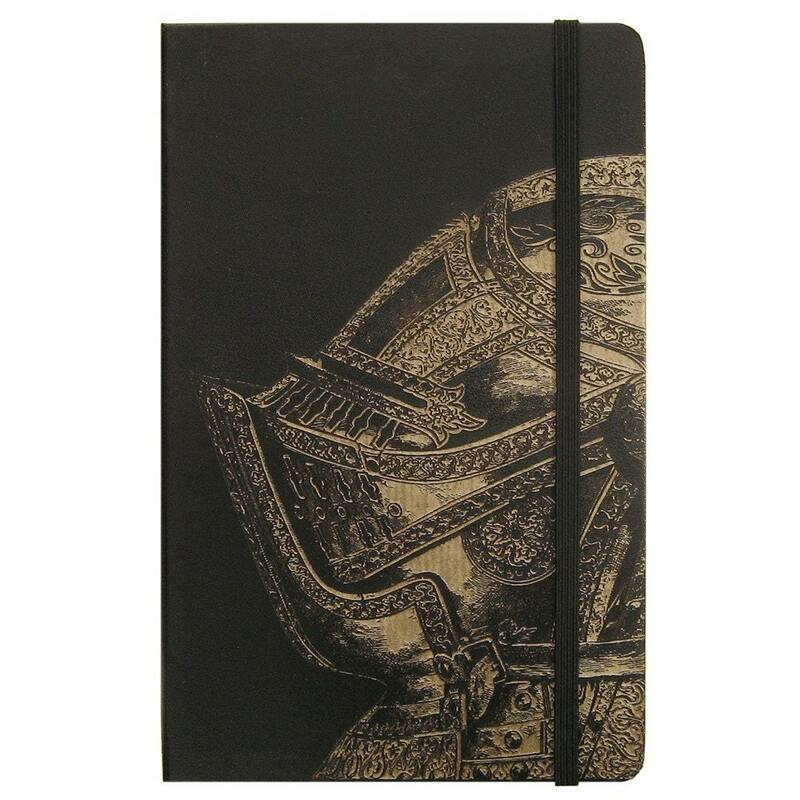 This Moleskine is not your average Moleskine. It’s been cleverly laser etched by Modofly to display a intricate design of a Medieval helmet. The photos just don’t do this stuff justice. Seriously, if you’ve been thinking about getting one, and aren’t sure, go for it. Customizable by different page types: lined, sketch, squared, reporter, or watercolor. Tons of various designs available by different artists. They may be a bit pricy at $32 for the large size, but they’re worth it. You can purchase them from their website or their Etsy shop.